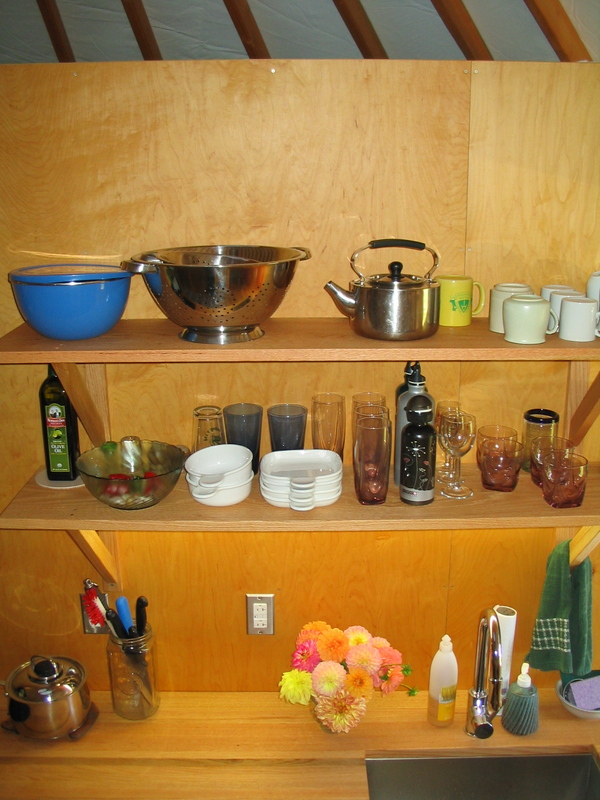 Gavin installed the kitchen shelves he’s been working on. They are made of salvaged oak boards. There is also a fluorescent light fixture under the bottom shelf. A great improvement!